1. Northeastern Illinois University Compliance Examination and Single Audit Digest (FY18-NEIU-Comp-Digest.pdf). 2. 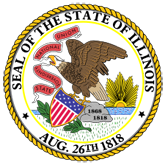 Northeastern Illinois University � Compliance Examination and Single Audit (FY18-NEIU-Comp-Full.pdf).